Operates for just pennies a day! 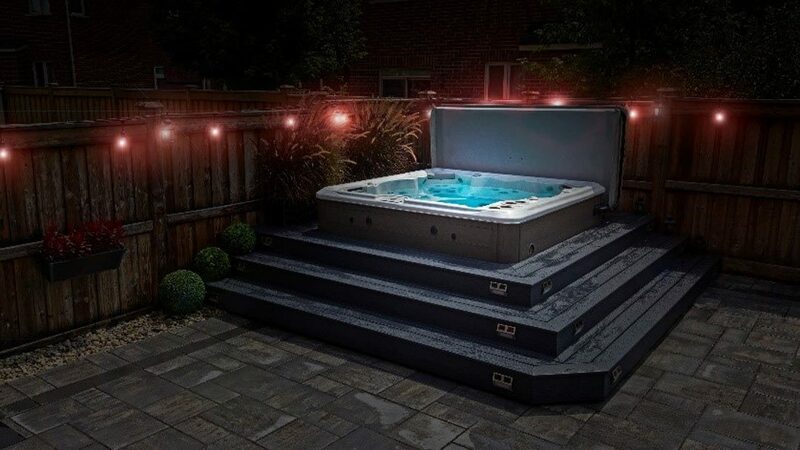 Hydropool hot tubs keep the heat in and the cold out with HydroWise Thermal Shield Energy Efficient Insultation and with their superior 4 inch HydroWise hard Cover. Their hot tubs are engineered to be the most energy efficient in the world for just pennies a day! Programmable Controls- A hot tub does not need to continually operate. Select your desired water temperature and the hot tub will maintain this temperature while ensuring your tub is automatically conserving as much energy as possible. HydroWise Heat Shield Hardcover- Hydropool’s covers are designed for harsh winter temperatures. Their heavy duty tapered lockable safety hardcover has an insulated baffle in the fold area and locks the heat in and the cold out. Insulated Thermal Shield Blanket- Triple Thermal Shield Technology is included in every Hydropool Hot Tub. This includes the pipes, cabinet and floor. The reflective foil side of the Thermal Shield reflects the heat back into the hot tub and the black side of the Thermal Shield and the pipes are designed to absorb heat. Low Amperage Evergreen Pumps- Hydropool’s pumps are engineered to produce high flow rates with low energy output. They eliminate the need for a circulation pump and are super quiet. Eco Heat Exchange Technology- The tubs have fully adjustable venting and each pump creates 1.5 kw of waste heat. With the HydroWise Thermal Shield blanket, this wasted heat is then reflected back into the hot tub cavity. Owning a hot tub can be cost effective and energy efficient. For more information, please visit www.hydropoolhottubs.com.